Forth Wanderers manager Jamie McKenzie is fuming that junior officials have switched his club’s eagerly awaited Central League Cup quarter-final to Pollok. The original tie last Wednesday night was postponed due to a waterlogged Kingshill Park. And exactly the same thing happened at Monday’s rearranged tie, leading to the beaks’ decision to play the last eight clash at Pollok tomorrow (Wednesday), kick-off 6.30pm. “I’m disappointed that the two games at Forth have been postponed,” Jamie said. “The SJFA officials have decided that we’ve to play the tie at Pollok on Wednesday and I’m not happy with that, far from it. “This decision demeans our cup competitions. These people do what they want and nobody challenges them. “It just blows the romance of a cup run, the chance of a home tie for us and a better chance of an upset. “Our committee members are not happy either. It’s the first time in 31 years that the club has reached the quarter-finals of the Central League Cup and then a plum home tie is switched. 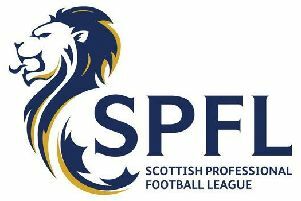 SJFA West Region secretary Scott Robertson said: “That’s twice that Forth have had a chance to get the game on so enough is enough. “There wasn’t even a lot of rain in the Forth area on Monday yet the park there was still unplayable.